Home / Washing Machine Repair / Washing Machine Not Spinning – What to do? Centrifuge - is that awful clinking that can awaken the whole house? Do not overlook the problem by saying that the next time you run the washing machine, you will be able to do it yourself. Yes, there are some reasons why you are the main culprit - when overloading large quantities or in the presence of undesirable foreign bodies, they come in quite unintentionally in the small space. In other cases, however, try yourself to find the source that breaks your peace of mind or seek professional help. 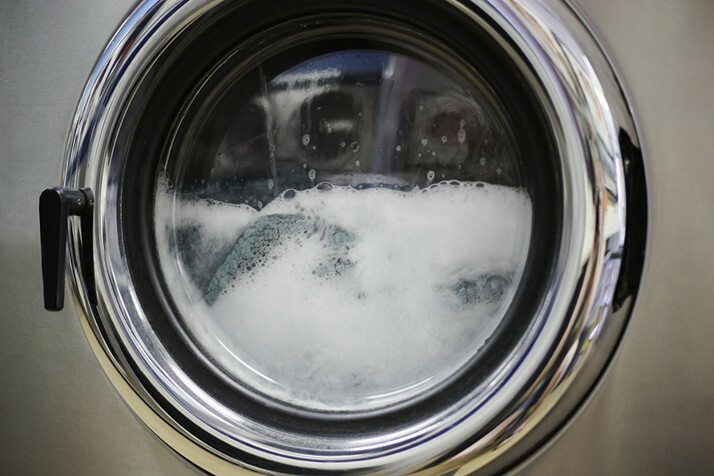 Typical centrifuging problems and why won't my washing machine spin? 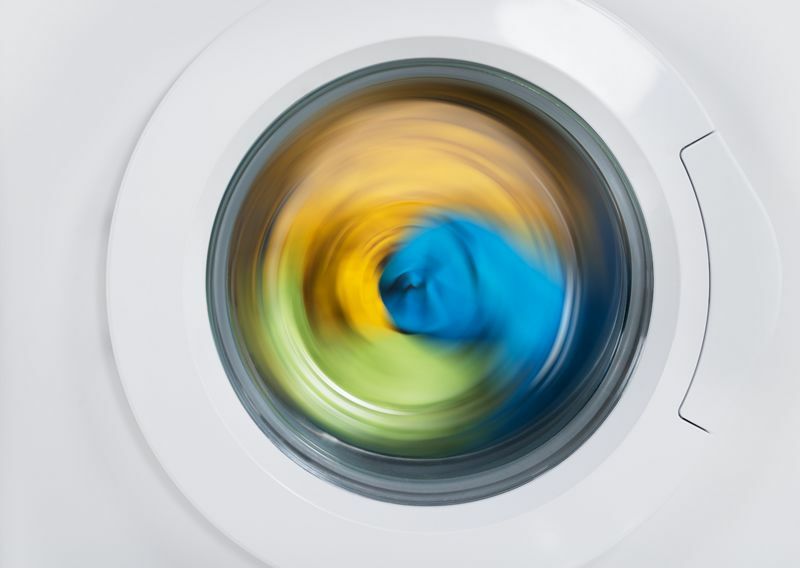 The washing machine rotates but at slow speeds - the reasons here are probably due to the load you put in the washing machine. You have to properly judge it by following the balance principle. Excessive loading makes it difficult for the drum to drive the spinner, and a small amount of clothing is not beneficial to the machine because it can not evenly distribute the weight around the drum. The washing machine does not work effectively, in both cases. Continuous placement of clothes at both extremes will cause any cycle to run normally. This problem is too easy to prevent, not even a specialist is required. Everything is in your hands. For laundry sorting, do not put jeans (defined as heavy laundry) in combination only with lingerie and socks (they are too light). Jeans put too much pressure on bearings and springs that are parts of the drum. The unbalanced load produces a very loud and unpleasant noise that arouses anxiety. It is necessary to drain the water for a normal centrifuge cycle. Something is wrong if it drains slowly or it does not do it at all. Probably due to the drainage system. It is blocked most often in the presence of coins, jewelery, hairs or other objects. So, first, open the filter - that's where all this is gathered. It is possible to clean it and remove the small items, then wash your washing machine in the old way. It's very easy, do it yourself. All you have to do is open the filter. There may be more drainage of water. Place a bowl in which to drain. However, if a clean filter is present, it may be a plugging of the hose leading to the drain pump or the pump itself. As a general counsel to prevent this problem - check the pockets before putting the laundry in the washing machine. This will avoid washing anything undesirable or what could not be used afterwards - like your favorite smartphone. The possible damage in this case is the engine that drives the drum rotation. Carbon brushes are those that come into contact with the motor and propel it, but they wear out with time. The signs that will show you this problem are related to noise or sparks coming from the bottom of the washing machine. You will probably have to replace the bike. You can find out how to do it yourself or get professional domestic appliance repairs help. Companies will choose a quality part for your model and will install it quickly and easily. Well, now make sure that the washing machine continues to serve you faithfully by placing the pile of dirty clothes. Direct Drive Engine - Some high-load models use a clutch that directly drives the engine. It is wearable, as any part, during prolonged use. You can be sure it's time to switch to some known symptoms. This is the case if the washing machine is filled and drained normally but does not start to spin. If you occupy yourself, switch off the washing machine from electricity to be sure of safe working conditions. Read the manual for your model and proceed according to the steps outlined there. For less risk, call a quick brigade from competent persons. Locking the door or the lid - This mechanism is one of the most useful for the safety of your washing machine, as well as for every member of the family. This additional benefit is characteristic of most of the front-opening models, as well as some of those with the top. The locking system includes a switch that provides a clear indication that the door is blocked and gives a signal to start the centrifuge. If it does not recognize the locked door, the process may not start. When identifying this malfunction, most of the error is displayed on the display itself. It is good to check and close the door itself if it closes tightly. When changing the lock, the washing machine will run again thoroughly. Wax motor - wax engines are used in some front-loading models to trigger the locking system. The operation of the wax motor is to supply electricity and, via a pin, locks the door. Only then begins the cycle. It's hard to see if the problem is in the motor if the drum does not spin. What you can do is use a meter that will test continuity. The resistance should vary between 1500-1900 ohms, otherwise it is defective. 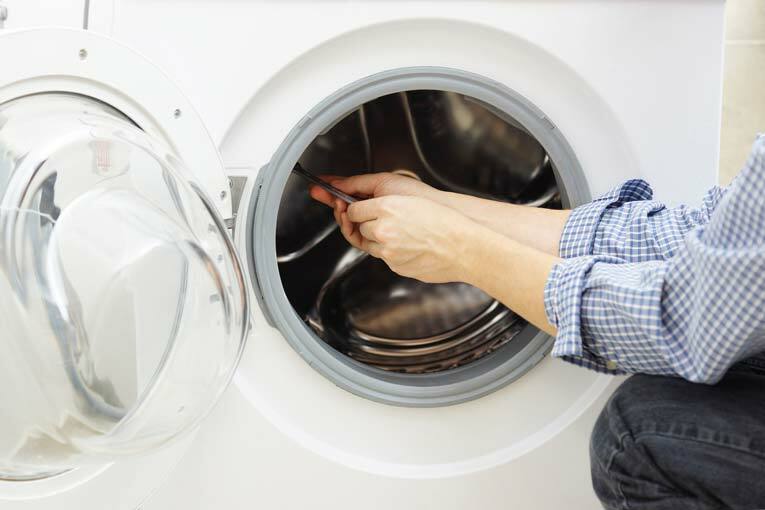 Drive Belt or Spin Belt - the washing machine will stop rotating when the belt is overheated or overheated. Before you decide to change the belt, check the attachments that are closely related to it - the belt pulley or the slider of the engine must move smoothly. The drive belt plays the role of connecting the drive motor to the transmission - in the case of overhead models - and driving the motor to the basket - to the front-opening ones. Look for oil or water leaks on the belt or roller. Observe also the easy swiveling of the bathtub. It's good to get to know the size and coverage when choosing a new replacement belt. Clutch - Worn clutch will prevent your washing machine from spinning or doing it well. Replace it if you identify it as an enemy for your clean clothes. Do not let anything that comes out look like lavender. Know that noise, sparks, unpleasant smell of shriveled or unpleasant scraping are sure sources of replacement. These symptoms and the appearance of the part indicate wear that is due to the repeated friction of the clutch pad during centrifuging. Accessing it to change it is a bit more difficult. It is located under the outer tub and is attached to the basket drive.